ERP in the cloud is more cost effective and more secure, enabling your business to be more agile, and operate in real-time all over the world. There are some ERP vendors that have added a cloud deployment method to their line card, but limit you to one cloud deployment option. Epicor has been making a significant effort to not only be a leader in the ERP space, but a leader in Cloud ERP deployment. By giving their clients a variety of deployment options, clients can rest easy that they can change their deployment method if their business or technical needs change. So given you now have all these options, it is important to understand the differences between them all. Dedicated Tenancy offers the benefits of greater flexibility and control, and can be ideal for organizations needing to meet specific regulatory compliance requirements.This deployment option provides customers with an isolated database on shared infrastructure allowing for higher levels of advanced customization and subscribers have the ability to defer new version and release updates for a limited time meaning they have increased control. Multi-Tenant is the most cost effective deployment of Epicor ERP. 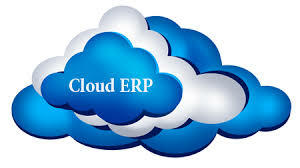 It delivers pure web based access to your always current cloud based ERP deployment. Multi-tenant cloud offers economy of scale, which is good for those who are tight with the budget strings. Single Tenant gives clients more control over their ERP deployment by giving them a say in their system configuration and administration. Hybrid. This is a mix of on-premise and cloud deployment. Ideal for clients with strong centralized IT departments who need to support a global IT footprint. This deployment method allows for some locations to deploy cloud, while others prefer on-premise still. As you can see from the above, it is not enough for an organization to decide they want to deploy a cloud ERP system. They need to understand what the different cloud ERP deployment options are and what best suits their organization. 2W Tech is a certified Epicor ERP Partner and has experience with various cloud deployments and can work with your organization to determine which best suits your needs. Give us a call today.